The Dive Academy have two dive centres on Koh Samui. One is based on the north of the island at Bandara Resort & Spa in Bophut, and the other is based at Kandaburi Resort & Spa in north Chaweng on the east coast of Samui. There are classrooms at both centres and swimming pools at both resorts, which means your classroom and pool training will be in one location, saving valuable time better spent ensuring you are ready to move to the next step of your course. The experienced and friendly staff can teach in a number of languages, including: English, German, Dutch and Japanese. The Dive Academy cater for family groups, with children as young as ten joining in the same PADI courses as the adults. Although there are courses designed especially for children between eight and ten, if required. For non-divers there are snorkeling tours to the best spots on and around Koh Samui. The Dive Academy are a Project AWARE Go Eco Dive Centre, which shows a commitment to offering environmentally friendly dive courses and tours and to educating divers on ways to help prevent further damage to the underwater environment we enjoy so much. There is a range of Project AWARE Courses to further your knowledge and skills and to help protect the marine life at the same time. Unless requested by the customer, The Dive Academy do not take more than four customers per group on any diving course or dive tour. If any group is larger than six people they will provide, at no additional cost, a second professional diver to accompany the group. There is also an exclusivity option which allows you to book an instructor solely for you or your group for the duration of your course. All PADI materials are up to date, with a range of PADI Manuals and DVD's for you to check out the fantastic adventures waiting for you once you complete your course. Included in the price of the dive courses or dive tours is the rental of top brand Mares diving equipment. The equipment is properly maintained and serviced regularly and continually replaced with up to date models. Potential customers are welcome at the dive centre to inspect the equipment for themselves before committing to diving. For those interested in purchasing there own equipment, there's a full retail outlet and the staff give honest advice on diving equipment brands, including Scubapro, Seac Sub, Suunto and Aqualung. If you don't see what you want in the shop staff will take you directly to the equipment suppliers where you can choose for yourself from the full range of equipment available. The Dive Academy have a 100% safety record and have never had a customer injured due to a diving accident. 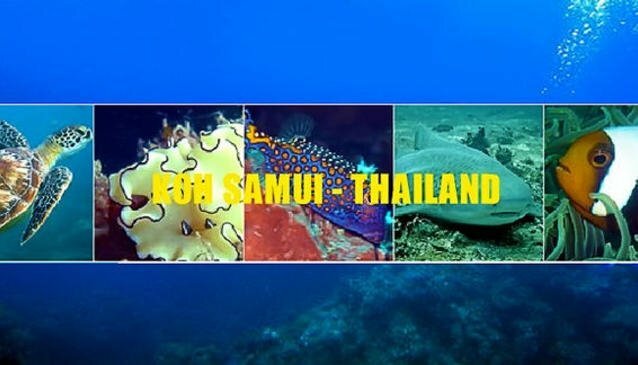 Please visit The Dive Academy Samui website for further information or us the enquiry form provided here. Just click the MAKE ENQUIRY button on your right to contact company directly.